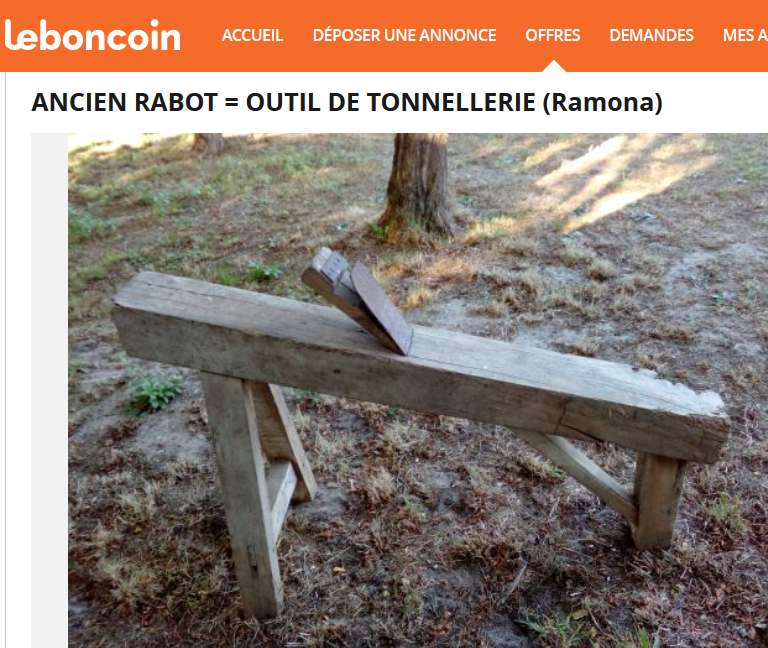 OUTILS ANCIENS - ART POPULAIRE :: TANT PIS POUR LE TONNELIER ! TANT PIS POUR LE TONNELIER ! Posted: 29/05/2017 17:52:49 Post subject: TANT PIS POUR LE TONNELIER ! Posted: 29/05/2017 17:58:24 Post subject: TANT PIS POUR LE TONNELIER ! ....Et pis ...Faudra r'couper les pattes pour passer les douelles par en d'ssous !.....Simple ! Posted: 29/05/2017 18:03:50 Post subject: TANT PIS POUR LE TONNELIER ! Posted: 30/05/2017 11:02:58 Post subject: TANT PIS POUR LE TONNELIER ! Posted: 31/05/2017 23:28:57 Post subject: TANT PIS POUR LE TONNELIER ! Posted: 01/06/2017 18:14:18 Post subject: TANT PIS POUR LE TONNELIER ! Posted: 26/04/2019 05:22:48 Post subject: TANT PIS POUR LE TONNELIER !